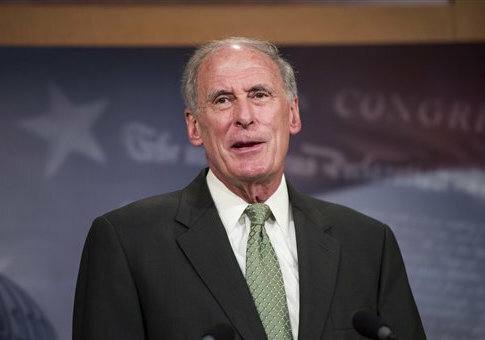 Sen. Dan Coats (R., Ind.) has placed a hold on an annual Senate resolution commemorating Greek Independence Day after two of the country’s ministers threatened to release illegal immigrants—including jihadists—into the Eurozone. Greek Defense Minister Panos Kammenos said earlier this month that if the European Union and International Monetary Fund fail to continue payments on their bailout of Greece, the country will allow illegal immigrants and those held in its detention facilities to travel throughout Europe. "If Europe leaves us in the crisis, we will flood it with migrants, and it will be even worse for Berlin if in that wave of millions of economic migrants there will be some jihadists of the Islamic State too," he said. Kammenos heads the rightist Independent Greeks party, which is currently in a coalition with the ruling leftist party Syriza. Greek Foreign Minister Nikos Kotzias also warned EU officials that if Greece was forced to abandon the euro, "there will be tens of millions of immigrants and thousands of jihadists." Coats penned a letter to Greek Ambassador Christos Panagopoulos on Tuesday demanding an explanation for the comments by the Greek ministers. "With these statements, the Minister threatened the security of his country’s own allies," he said. "Since holders of European Union travel documents also travel easily to the United States, this threat extends to our own security interests as well." "I believe it is in your interest as well as ours that you or another senior spokesman of the Greek government publicly comment on those threatening statements and clarify whether they reflect current policy or thinking within your government," he added. "With such clarification, I hope I will be able to support the Senate resolution regarding Greek independence and our shared democratic traditions." This entry was posted in National Security and tagged European Union, Greece, Islamic State. Bookmark the permalink.